Pawan Kumar's father is an alcoholic who doesn't work, and also has a second family he spends most of his time with. Pawan Kumar's mother struggles mentally and economically, and is unable to provide food and education for Pawan and his brother Vamsi. 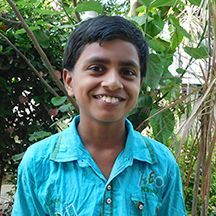 Sponsorship would provide Pawan Kumar with an education and basic needs.